Many citizens want to support the great work of Civil Air Patrol, but simply don’t have the time to make the commitment as a member. Becoming a Friend of CAP supports your commitment and service to your community through aerospace education, cadet programs, and emergency services. The Spaatz Association is proud to support the Friends of CAP program, and we encourage you to do the same. 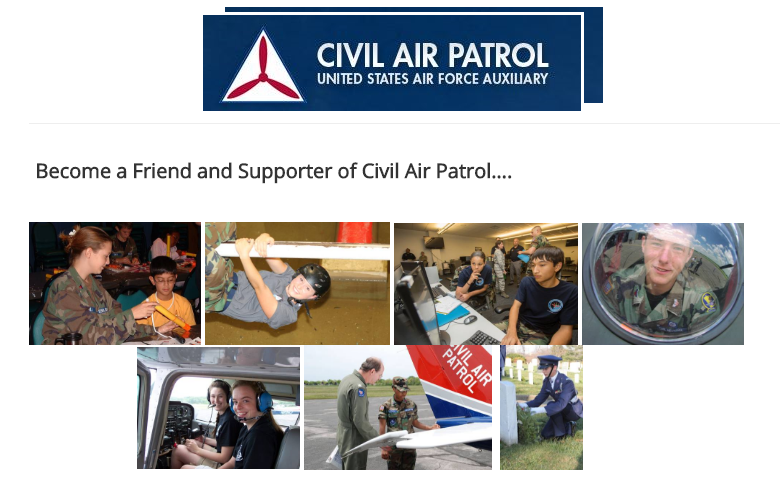 Friends of CAP pay $35.00 as an annual tax deductible gift to further support the Civil Air Patrol without any volunteer membership obligations. Friends receive the Civil Air Patrol magazine twice a year, as well as periodic emails with updates from our national staff and development office. Friends are eligible to take advantage of member benefits and discounts. Gifts made to Civil Air Patrol are tax deductible to the extent the law provides. The IRS has designated CAP as a 501(c)(3), nonprofit organization. For more information, check out the Friends of CAP FAQ, or make a donation today.